Home Page Be Clean Go Green! Helping to improve the environment one less chemical at a time! E & J Cleaning Services can customize a green cleaning solution that fits your needs and doesn’t have to be everything all at once. We can help you slowly work your way in with 1 thing at a time. Although it would be great to go green 100% out of the gate, we understand that it’s a change and every little bit helps, so call now to discuss with our knowledgeable staff what you could change immediately to start helping save the planet! Paper products should be made with a significant portion of recycled content and produced in a way that meets strict environmental standards. Products should be processed without chlorine and not contain any added pigments, inks, dyes, or fragrances. Green Seal and others have established guidelines for paper products. We can supply all of your paper supply needs with approved products at very competitive rates. Hand soaps should use environmentally responsible packaging and formulas with biodegradable ingredients. Green Seal also has guidelines for soap products. We can fulfill all of your soap needs with approved products at very competitive prices. Proper matting is a critical component of a successful green program. Entryway mats are designed to remove dirt and moisture from shoes – keeping it out of the building in the first place. Mats should be a minimum of 3 to 4 stride lengths, approximately 12 to 15 feet, for maximum effectiveness at capturing soil before it enters the building. We have a great selection of mats to choose from. Compared to traditional mops, microfiber has a number of green cleaning advantages. Microfiber material uses less cleaning chemicals and water. 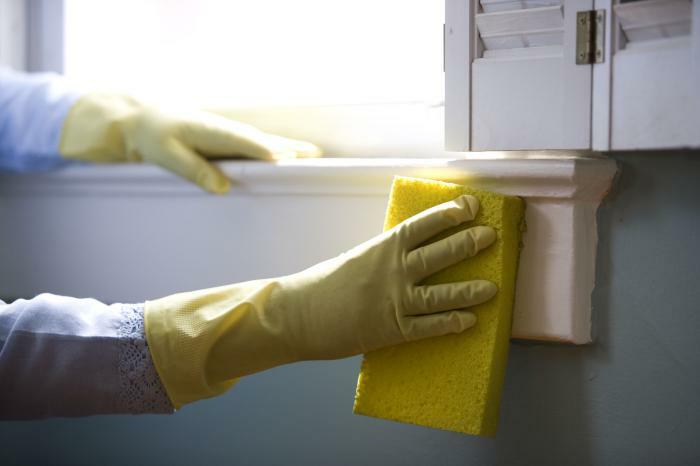 Microfiber pads can be changed frequently to reduce cross-contamination and, when used dry, they do a better job of capturing dust that otherwise can affect the health of building occupants. Microfiber mops make your floors look and feel cleaner because they are! This makes a tremendous difference in the overall cleanliness of your facility. Touch-free faucets significantly reduce water consumption as well as eliminating a major source of cross-contamination. Automatic flush valves improve restroom hygiene and appearance. Touch-free soap dispensers help control usage and reduce waste.